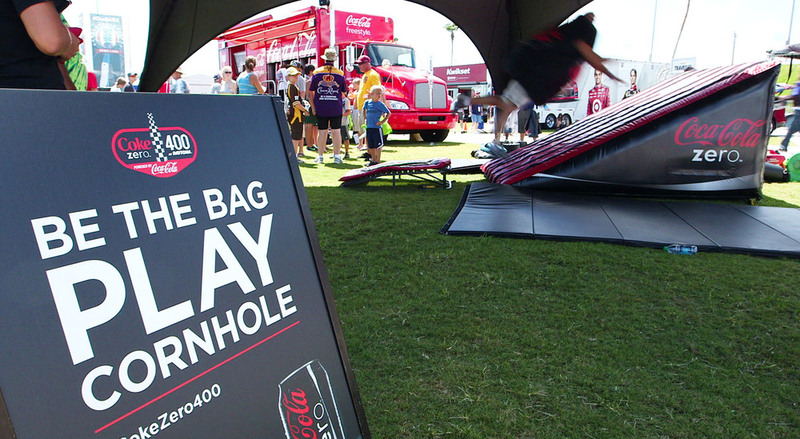 At the 2013 Coke Zero 400, we wanted to do more than hand out samples of the beverage to the fans, so we created a whole new way for them to enjoy everything. 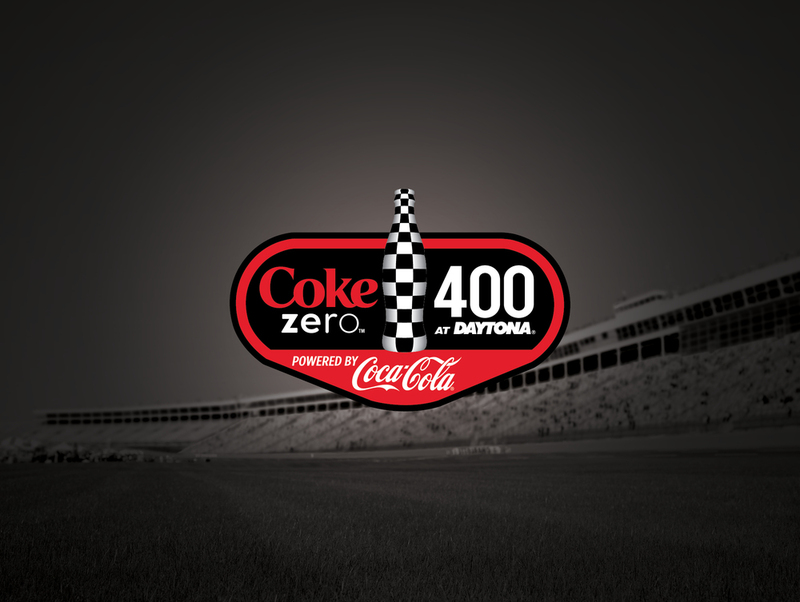 At this year's Coke Zero 400, we were tasked with getting NASCAR guys, some of the manliest, no-frills men on the planet, to sample Coke Zero, a drink they consider a diet soda. 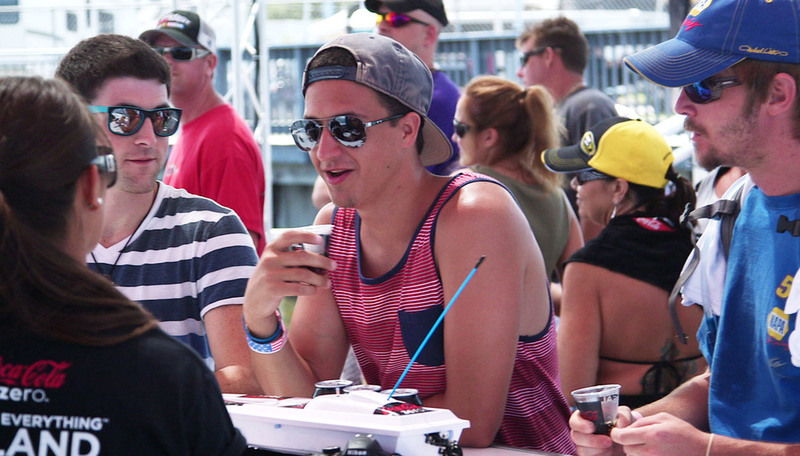 We built an island on a lake at the center of Daytona International Speedway. 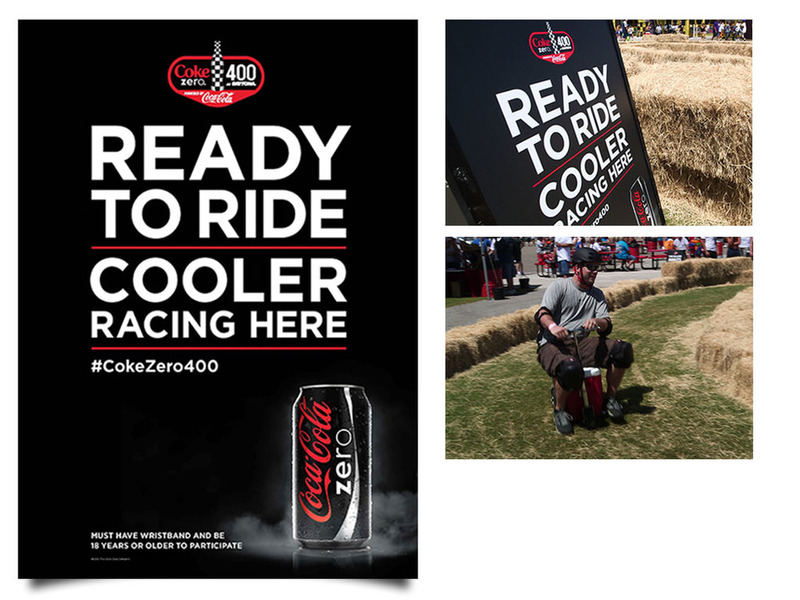 Here, fan boys could fulfill some of their wildest NASCAR dreams while downing Coke Zero. 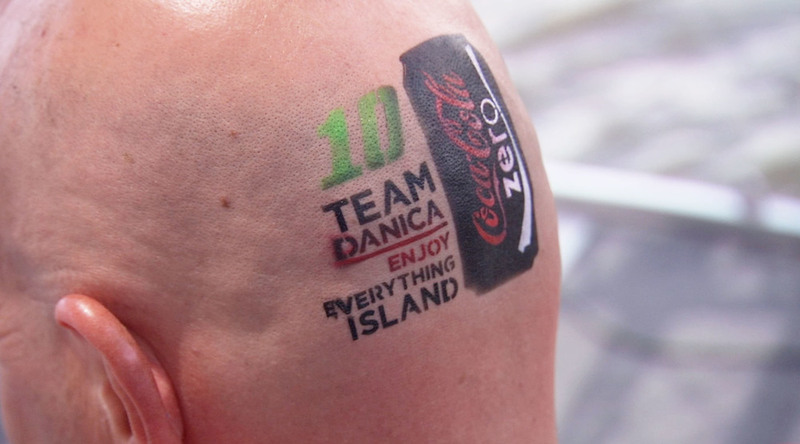 But fans couldn't just walk on the island. They had to to earn it. 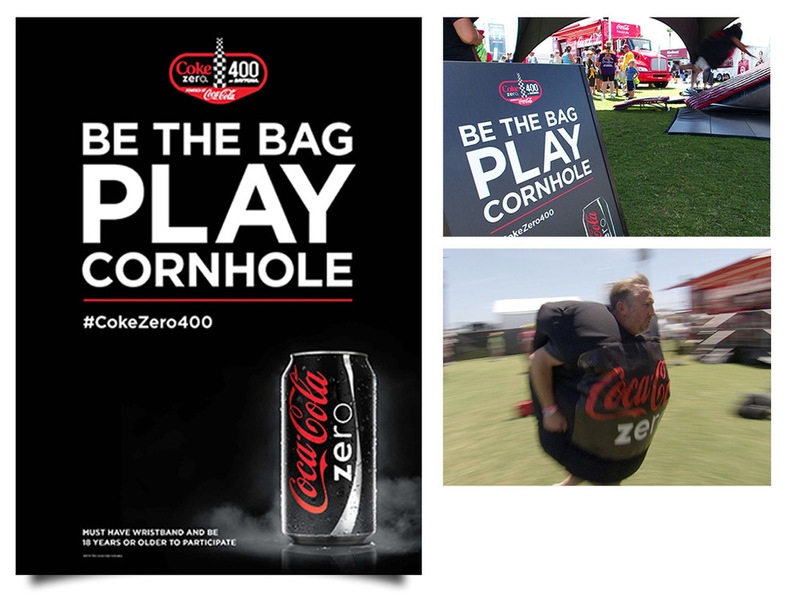 And by "earn it", we mean dress up as a human bean bag and throw themselves on a giant target. 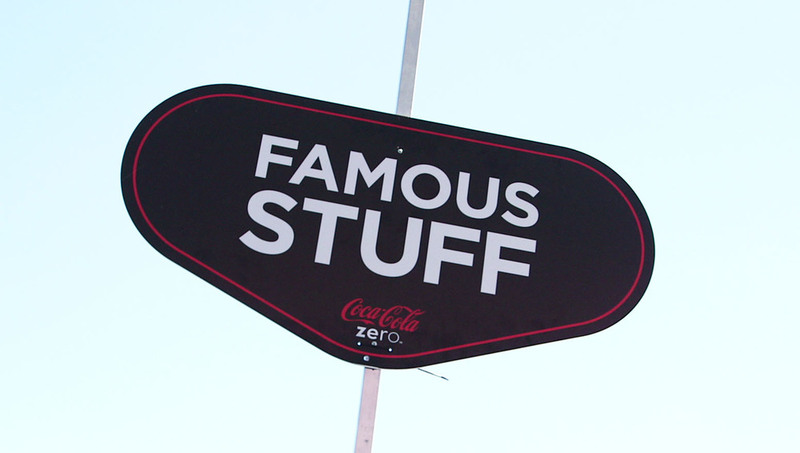 Posters promoting the island show Coke Zero floating on the lake, in the center of the action. 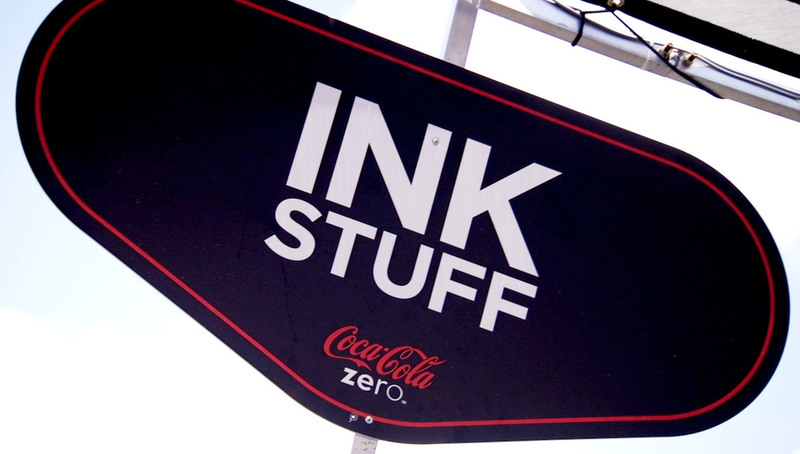 Coke Zero marks the areas where fans are enjoying everything. Event Concept, Overall Design of Assets, Case Study Video Look and Feel.